Installing Windows OS 8 does not happen nearly any problem with the majority of users. Installing Windows 8 is simple and the user does not need to enter the license code during installation. But it’s extremely difficult for some unaccountable reason that users need to reinstall your operating system Windows 8, because the process of reinstalling Windows 8 will require users to enter. How to install Windows 8 After “insert” Windows 8 installation disc into your CD / DVD, the installation wizard will appear to Windows 8. In the wizard window to install Windows 8, select the installation language (Language to install), the time format (Time and currency format) and keyboard input methods (keyboard and input method) then then click Next to continue. Next, you. Windows Developer Preview Build 8 gives us a preliminary glimpse of the next generation version of the Windows operating system – Windows 8. Windows Version 8 Developer Preview Build included some new features will be in the Final version of Windows 8. You can download pre Windows 8 Beta to experience the new features in the Developer Preview version of Windows 8 Build this. Below. SystemTweaker is one of the applications of the product to optimize cost $ 59.95 by Uniblue, it helps you to automate optimization settings for the Windows operating system in order to avoid risks during implementation, and present it Softpedia is being given away as a free software ….. SystemTweaker interface is simple design, easy to use so you can tweak the system to your own preferences.. Some key features of two software: + Kaspersky Internet Security 2012: – Kaspersky URL Advisor: Helps detect and “phech” color for malicious websites to help you get smart decisions before they visit a certain web page – Kaspersky File Advisor : Check the safety of files with one click. – System Watcher: Monitoring the activities of the suspicious applications. Smartphone users will certainly equip your device faces the application from the app store online to reinforce your device. The Android phone too, you will definitely want to try the fire with applications on Android Market are provided to serve the needs of their use. The following article will give you a brilliant application which you can download for your beloved device. 1. Powerful. TuneUp Corporation is a promotion offered free lifetime license TuneUp Utilities 2011 software valued at $ 49.95. To get TuneUp Utilities 2011 FULL Key license free, please visit this promotion here and then fill in your information into the frame register and click on Get product key to send. A popup dialog show up asking you to re-enter your email address to confirm. Please enter the email. Description: Adventure golf… but with cows, toads, ski slopes, torpedos and a sprinkle of alien abduction for good measure. Controls: Simple mouse control aim and click to putt the ball into the hole. Practice on any hole by selecting from the score screen. Unlock Wonder Collectables Mode after the first full game complete to maximise your points! Free online Wonderputt Golf game You can. The latest version of Google Chrome is jam-packed with highly convenient features, including synchronization, tabbed browsing and privacy functions. 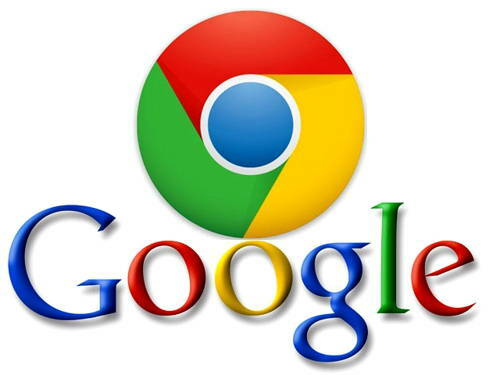 By using your Google account, it can sync your bookmarks, browser preferences and extensions so that they are available on any computer once you sign into your account. This is advantageous because it allows you to easily access your own add-ons. This is Nikon’s answer to the Canon S95 pocket dynamo. The P300 pairs a 12.1-megapixel backside-illuminated CMOS image sensor (which picks up more light than a standard CMOS sensor) with a fast f1.8 lens. Max ISO is 3200. And it shoots 1080p video at 30fps. Full size It’s also got a new easy panorama mode seemingly borrowed from Sony’s pocketcams, creative filters like.